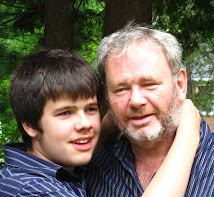 Conor approached me several times late this afternoon to say "Happy Birthday Dad". And I can assure you he had no ulterior motives at all. Nope, no ulterior motives, none at all. A communication release by the Burnham Institute for Medical Research claims that a study by Burnham scientists shows that neural stem cell development may be linked to Rett Syndrome. The study published today in the early online edition of the Proceedings of the National Academy of Sciences, reports that mice lacking the myocyte enhancer factor 2C (MEF2C) protein in neural stem cells had smaller brains, fewer nerve cells and showed behaviors similar to those seen in humans with Rett Syndrome. The communique claims that the study represents the first direct link between a developmental disorder of neural stem cells and the subsequent onset of autism. "These results give us a good hint of how to look at Rett Syndrome and potentially other forms of autism in humans," said Dr. Lipton. "Having identified a mutation that causes this defect, we can track what happens. Perhaps we can correct it in a mouse, and if so, eventually correct it in humans." If you can believe some professors of cultural anthropology and classical literature there are no environmental causes of autism and there is no autism epidemic. 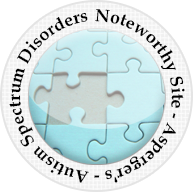 ALL of the dramatic increases in the numbers of autistic children and adults are due ENTIRELY to the definition changes in the DSM and to diagnostic substitution. Bringing their powers of personal opinion, societal observation and literary analysis to bare on the subject they have concluded that there is no autism epidemic. We can all rest easy now that the rumor of an autism epidemic has been thoroughly discredited by these uh .... giants of science. No need at all for parents to worry about mercury, lead, pesticides and other harmless substances to which we as DNA bearing parents or our children themselves might be exposed. We can all rest assured that autism is purely genetic. Any and all increases in cases of autism must be due entirely to definition change, diagnostic substitution, increased awareness etc. According to the true believers autism has only genetic causes and there is nothing we can do to treat or cure our autistic children. Que Será Será. Of course there are heretics out there, unbelievers who have not yet seen the light, people who actually give credence to theories about global warming. People who are concerned generally about the increasingly toxic bath into which each new generation is born. I must confess to being one of those heretics. While the genetic bases of autism are becoming known with increasing specificity the role of possible environmental cause or triggers of autism has not been eliminated. Far from it. Studies of twins have established that it is not 100 per cent genetic, since even among identical twins, when one has autism, the likelihood of both twins having autism is only about 60 per cent. This means there must also be an environmental component, but what it is remains unknown. new etiology. Diagnostic substitution alone is unlikely to account for the increase, while genetic association with detoxification gene alleles points to an environmental contribution. Subtle structural anomalies in the ASD brain are widespread but limbic damage seems important for the development of behaviors diagnostic of ASD. The limbic brain is especially susceptible to environmental challenge: internal sensing, physiological feedback and neuroinflammatory processes may underlie this sensitivity to insult. Primary damage leading to ASD in later life is likely to take place in utero and/or in the immediate postnatal period. Despite evidence of heavy metal involvement, a causal connection may not yet be concluded because subjects exposed to metals tend to be exposed to other environmental agents. Because maternal minerals and lipids are supplied to the unborn child, historic toxic exposure of the mother may be pivotal. A two-hit combination of genetic susceptibility and environmental challenge is argued to underlie the rise in ASD. 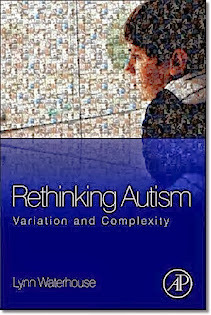 Personally, I believe that we are in the midst of an Autism Knowledge Revolution in which science, not the ancient Greeks, or superficial and irrelevant cultural comparisons, will determine with increasing certainty the causes of autism, be they genetic, environmental or some combination of factors. As that knowledge increases debates about whether we are living in an autism epidemic should also be decided with greater certainty. "While originally coined among the autistic community as a label for non-autistic persons, the concept was later adopted by both the neurodiversity movement and the scientific community." One of the points not often stressed in the heated and sometimes angry world of internet autism "discussions" is the heroism of the "neurotypicals" from parents who sacrifice and struggle to raise their autistic children and care for them to the teachers, aides and other educators who try to educate autistic children, accommodate the diverse challeges they present, and in some cases deal with physical harm inflicted by those they try to help. These are real, every day, "neurotypical" heroes. 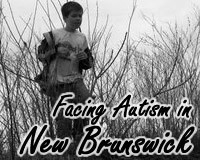 There are also professional neurotypical heroes like Dr. Paul McDonnell, professor emeritus (psychology), clinical psychologist and the mentor behind New Brunswick's (New Brunswick, Canada) evidence based autism service delivery system. Dr. Mickey Keenan in Northern Ireland and Dr. Doreen Granpeesheh in the United States. These are but a few of the many dedicated neurotyical professionals who use their education, experience, time and effort to actually help persons with autism. I was very impressed recently with the heroic efforts of the neurotypical volunteers who worked for a week to ultimately find ,and deliver to safety, Keith Kennedy the autistic gentleman from Minnesota who wandered off and was lost in the Wisconsin woods near the camp he was staying at. These people sacrificed a lot of their time and comfort to help this autistic man they did not know. As a neurotypical father of a severely autistic 12 year old boy I give thanks today, not because it is a "thanksgiving holiday" but because I choose to do so, to the many "neurotypical" fellow parents, professionals, educators, therapists, politicians and civil servants who have helped to make life better for my son. You are all heroes, each and every one. 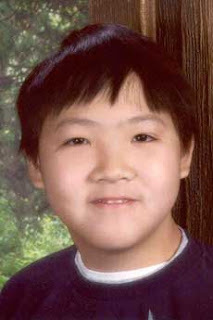 Andre Hsu, a 12 year old autistic boy with limited speech, was found safe and unharmed in Norwalk 12 miles from his home. The boy, who has been returned to his family, went missing after school and was found after calls to police in Norwalk. The Orange County Register reports police believe he probably got on the wrong bus. His family is undoubtedly ecstatic to have their son home safe and sound. The Autism Knowledge Revolution continues with publication of a paper by University of California, Santa Barbara professor Kenneth S. Kosik "Heterogeneous Dysregulation of microRNAs across the Autism Spectrum” in the journal Neurogenetics. In addition to Koskik, senior author, other authors are Kawther Abu-Elnee, Tsunglin Liu, Francesca S. Gazzaniga, Yuhei Nishimura, Dennis P. Wall, Daniel H. Geschwind and Kaiqin Lao. The paper reports results of a study which found that "altered miRNA expression levels are observed in postmortem cerebellar cortex from autism patients, a finding which suggests that dysregulation of miRNAs may contribute to autism spectrum phenotype". Ribonucleic acid, or RNA, is a link between DNA and protein. Some RNAs, according to Kosik, do not make a protein. One such type of RNA is called a microRNA because it’s very short. While there are 23,000 genes in the human body, there are about 1,000 different microRNAs. The short RNA sequences can bind to many different, longer RNAs and inhibit them from making the protein, Kosik’s study found. “In this manner, they exert a broad regulatory control over the expression of many different proteins,” he said. And many of the genes they control are involved in brain development. "How did he survive? He's a very lucky young man," said Dr. Timothy Whelan of the University of Minnesota Medical Center, Fairview. Even though he hadn't taken anti-rejection drug for a 1995 transplant since he disappeared, Whelan said he was optimistic that the kidney Kennedy received from his father would recover. Bruce and Linda Kennedy also wonder how their son managed to survive a week in the woods without the skills to fend for himself. They'll probably never know the answer because Keith Kennedy can speak only four words. "We're not anticipating him communicating anything about this," Bruce Kennedy said. "He's never spoken in the past tense in his life." "We were yelling for the other guys because [the woods were] so thick," he said. "Suddenly we came to a clearing and Jim said, 'He's right here.' I said, 'Who?' and Jim said, 'No, he's right here, the one we're looking for. He's right here.'" Congratulations to all the searchers who made such a determined effort to find Keith Kennedy. Incredibly, and thankfully, this has ended well for Keith Kennedy and his family. 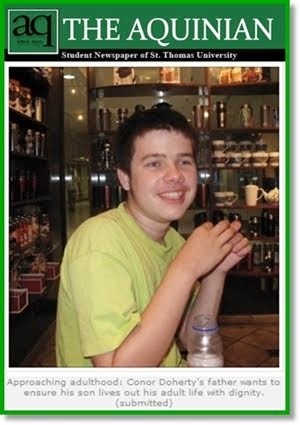 Keith Kennedy, a 25 year old autistic man from Minnesota, has now been missing a week from Trade Lake Camp, a camp for developmentally disabled adults in Wisconsin. The search area has been expanded. With the passage of a week, and Mr. Kennedy's need for medication for his kidney, WCCO Minnesapolis reports that the search has become desperate and that his family is praying for a miracle. "It's especially challenging since Keith can be scared off by loud sounds and probably will not respond to his name." "A coroner's report released today revealed suffocation as the probable cause of the death of a nine-year-old autistic boy. ... After being told repeatedly to calm down by a teacher, he was rolled in a weighted blanket. With his arms by his side, he was left on his stomach for over 20 minutes with only his toes exposed. When the teacher went to check on him, he was "listless and blue in the face," the Coroner's report said. " If that information is correct it is difficult for me to see the actions by the teachers involved, who owed a duty of care to that child, to be anything less than gross incompetence and negligence, possibly criminal negligence. I can think of no excuse or justification for their actions. The death of 9 year old Gabriel Poirier is incomprehensible. 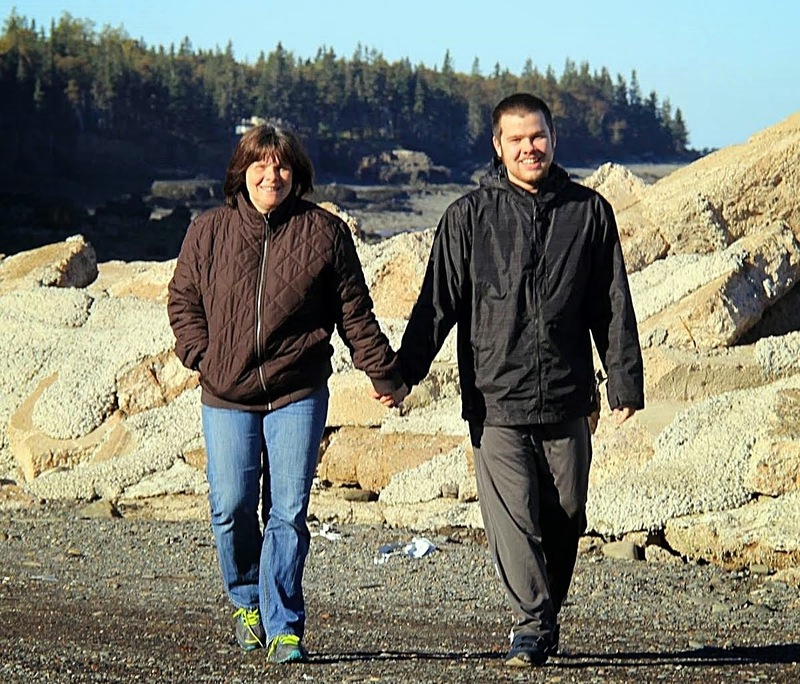 Transitions can be difficult for children with autism. We were anxious at the start but we were prepared with a good plan and good help from everyone at the school and district. Very special thanks to Teacher Assistant Brad Daniels who was outstanding. Conor himself though was most responsible for his great year. Above is Conor with his Perfect Attendance certificate for which he also received the trophy above, right. Conor received ABA instruction, including Discrete Trial Training, as well as activity and time in general areas like the gym, pool, kitchen and library. 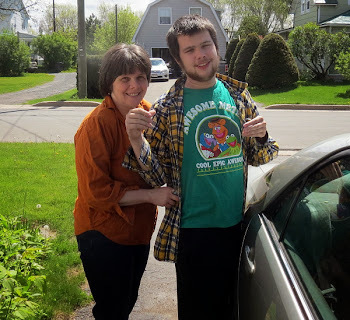 For those who think that ABA is somehow "oppressive" and "robs an autistic child of his personality" Conor's perfect attendance, and the enthusiasm he showed each day being the first in our household, every single day without fail, to head for the family car to get to school, say otherwise. "her son has been a wanderer since he was very young. She said that some camp officials didn't know he required constant vigilance." 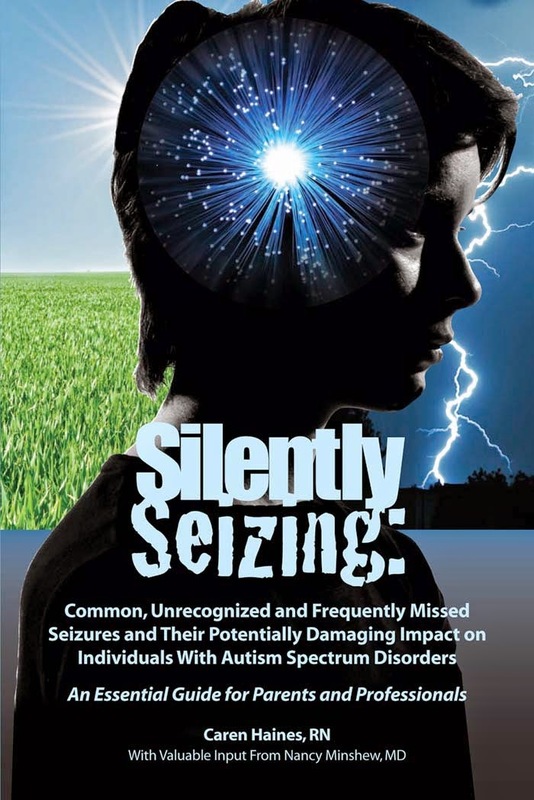 You won't see much about some of the negative realities of the autistic persons, children and adults, who go missing, in the rhetoric of "Autism" Rights ideologues like Michelle Dawson, Ari Ne'eman or Alex Plank. Most parents of severely autistic children though, including me, are all too aware of the need for constant vigilance. I have felt the fear of a severely autistic son gone missing; although for a much shorter time than the Kennedy's have endured. It was the most intense fear I have felt in my life. I hope it turns out well for Keith Kennedy and his family. 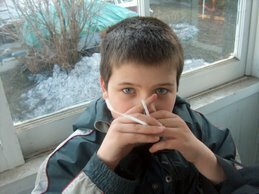 If you want to read a good "autism" blog check out autism's gadfly hosted by Jonathan Mitchell. He is truly a straight shooter who calls it the way he sees it. And doesn't mind, or maybe enjoys, challenging anyone's autism beliefs and opinions. Although Jonathan is an adult with autism he is not anti-cure and does not embrace the Neurodiversity/Autism Rights ideologies - the full title of his blog is "autism's gadfly I don't need no stinkin' neurodiversity"
I enjoy reading Jonathon's comments even though we disagree on many points, particularly ABA. As he puts it on his web site Jonathon is pro-cure, anti-neurodiversity, anti-special ed, anti-ABA. Not being a fan of the Neurodiversity/alleged Autism Rights Movement I enjoy the shots he takes at the leaders of those "movements" although I wince when he calls parents well intentioned but misguided for advocating for specific treatments, including ABA. Not all autistic persons, even those who are high functioning, share Mr. Ne'eman's views. And not all agree with the heated rhetoric of Michelle Dawson. autism's gadfly is one that does not. His unique perspective is well worth reading. Officials had been using planes and all-terrain vehicles in their search. 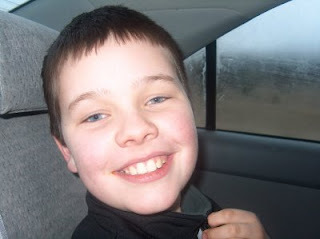 But concerns how his autism would affect his reaction to the vehicle noises prompted a call for searchers on horseback. Search dogs are also helping. The fear of an autistic son or daughter going missing are shared by many parents, including me. It is autism reality for many families with autistic members. I hope it turns out well for Keith Kennedy and his family. Conor went for a nice long trail walk with his mom and his brother. After walking awhile they popped into the Super Store where the boys picked out some treats for themselves. Conor picked out four treats, four peppers - orange, yellow, red and green. Conor loves his peppers! OTTAWA, June 10, 2008 – The Honourable Jim Munson, Senator ( Ottawa – Rideau Canal ), today introduced a bill to recognize April 2 as World Autism Awareness Day. By recognizing World Autism Awareness Day, Canada will join 192 other United Nations members who agreed that such a day would bring autism, a neurological disorder that affects an increasing number of families around the world, to the attention of all. “By recognizing World Autism Awareness Day we are saying to families with autism: You are not alone. We care,” said Senator Munson. Autism affects one in 165 Canadian families and there is no known cure. The number of Canadians diagnosed with autism has grown by 150% in the last six years and there is no national strategy to address the growing problem. 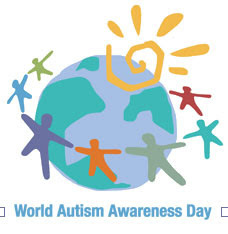 “World Autism Awareness Day will draw the attention of citizens to the plight of the many families, in Canada and around the world, who are affected by autism,” said Senator Donald Oliver, seconder of the bill. Worldwide, autism affects more children than pediatric cancer, diabetes, and AIDS combined. OTTAWA, le 10 juin 2008 – Aujourd’hui, l'honorable sénateur Jim Munson (Ottawa / Canal Rideau) a déposé un projet de loi visant à faire reconnaître le 2 avril comme la Journée mondiale de sensibilisation à l'autisme. En reconnaissant cette journée, le Canada se joindra aux 192 autres membres des Nations Unies qui ont accepté de faire que cette journée attire l’attention de tous sur l'autisme, un trouble neurologique qui continue de toucher un nombre croissant de familles de partout au monde. « En reconnaissant la Journée mondiale de sensibilisation à l’autisme, nous disons aux familles aux prises avec l'autisme : Vous n'êtes pas seules. Nous nous préoccupons de vous », a déclaré le sénateur Munson. L'autisme, qui est incurable, est un problème pour une famille canadienne sur 165. Au cours des six dernières années, le nombre de Canadiens ayant reçu un diagnostic d'autisme a augmenté de 150 %, et il n'y a pas de stratégie nationale pour combattre ce fléau sans cesse croissant. « La Journée mondiale de sensibilisation à l’autisme attirera l'attention des citoyens sur le sort des nombreuses familles du Canada et d’ailleurs touchées par l'autisme », a affirmé le sénateur Donald Oliver, qui a appuyé le projet de loi. Dans le monde, l'autisme touche plus d'enfants que le cancer, le diabète et le sida réunis. I am not running for this office to fulfill any long-held plans or because I believe it is somehow owed to me. I never expected to be here, and I always knew the journey would be improbable. I’ve never been on one that wasn’t. I am running because of what Dr. King called “the fierce urgency of now.” I am running because I do believe there’s such a thing as being too late. And that hour is almost here. Barack Obama appears to be an inspirational leader of the type not often seen in politics. But he has also borrowed from the great Martin Luther King one of the best phrases of his campaign "the fierce urgency of now". It is a point understood by parents advocating for effective early intervention for their autistic children, for a real education for their autistic children, and for decent residential care and life opportunities for those same children as they grow up and their parents grow old. Time will not wait. And time will not be gentle if we wait. We must always seize the moment. Act now with urgency or nothing will get done and our autistic children will be the ones who suffer from our procrastination; or worse from our sweet surrender and failure to act at all. On Father's Day I am thankful for my good fortune in having two terrific sons. One regularly returns A+ grades, learns in, and speaks, both French and English. 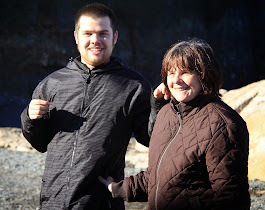 My younger son, Conor, follows an individual education program designed for him, learns by ABA instruction, and does not have a full command or understanding of English or any other language. Both make me very happy. For both I am thankful today. This blog is about autism because Conor has Autistic Disorder, assessed with profound developmental delays. I find great joy in Conor but not in his autism. The pictures accompanying this comment reflect some of the affection that Conor has for me, as his Dad, and some of the joy he brings to life. 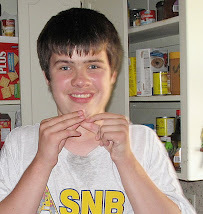 Unlike some fathers with "autism" blogs I do not believe that the joy Conor brings arises from his autism. 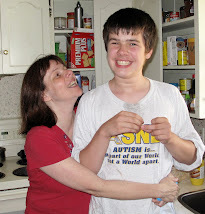 To me his affectionate, playful, personality is not a result of his autism. It is simply the essence of Conor. Because I love my son I refuse to follow the lead of those internet blogging fathers at the misnamed Autism Hub who try to suppress candid descriptions of autism. I believe I owe it to my son, who can not tell the world his story, to tell it for him and to tell it honestly; untainted by the ideology of the Neurodiversity movement that glorifies autism. 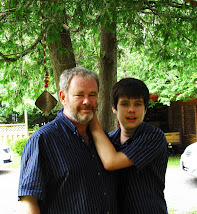 Because I love my son I fight to help him overcome the severely limiting deficits that his Autistic Disorder brings. To that end I have fought for Applied Behavior Analysis, ABA, interventions for him and other autistic children because ABA enjoys an incredible basis of evidence in support of its effectiveness. No other intervention enjoys anywhere near that level of support. And I will never fall victim to the "sweet surrender" mindset of glorifying autism as anything other than what it is - a serious neurological disorder. There is currently no cure for autism. If a cure arises, substantiated by solid evidence and research, and recommended for Conor by a knowledgeable specialist I would not hesitate to seek that cure for Conor so that he might live life to its fullest as independently as possible. And I don't care one iota whether the word "cure" offends some stranger sitting at a keyboard somewhere in the world who is offended by the word cure, or the idea of a cure. The stranger can appear in flashy magazines or on network television posing as a human rights advocate but he is not acting in my son's best interests. I am Conor's father and it is me that fights for him and his interests, not the posing stranger. On this Father's Day I repeat publicly the vow that I make to myself privately every day to help Conor live and enjoy life to the fullest extent possible.